You may remember that Dan Butler wrote to the Snowdonia National Park Planners highlighting the sources of a large number of the letters of support that they had received included RWE, the company proposing the scheme, and Dulas, the company putting together the proposals for them. 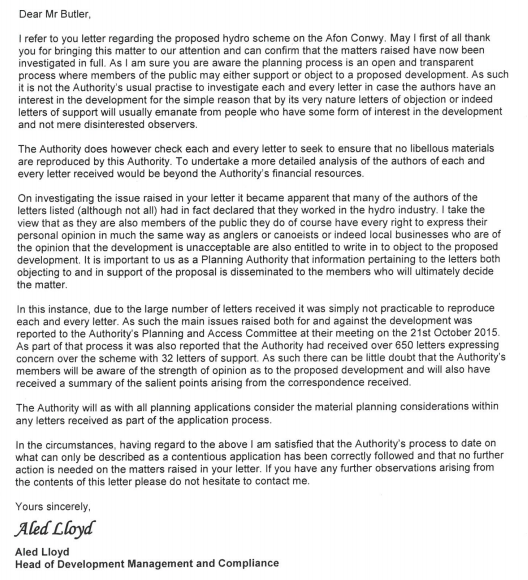 Since Dan’s letter to planners, we have learnt that a number of the letters to the planners came from individuals that did not make an effort to make their role in the companies clear. We have also established that a significant proportion of the support came from outside Wales, and that most of the submissions from RWE employees used what appeared to be a standard letter as their basis. We have also learnt that the number of letters of objection now totals over 800, with objections coming from both locally and farther afield. The SNP response is worrying, not just for the Conwy, but for the future safety of the National Park.They don’t appear to have the resources to effectively look at any volume of correspondence, and so are apparently happy to just leave the issue as it is, rather than stir up something with a developer. Is this the first time this has happened? What other schemes have been put though across the National Park based on letters from the very people putting them forward? If the proposed scheme is so good, shouldn’t the application speak for itself? 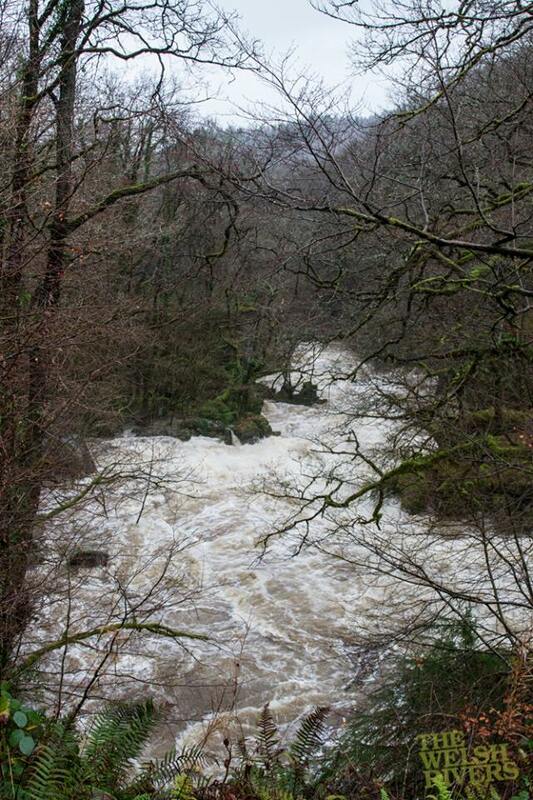 The Entrance to the Fairy Glen during the recent flooding.